Being condemned to their biggest ever defeat in terms of runs in T20s, the Wellington match was one to forget for India. 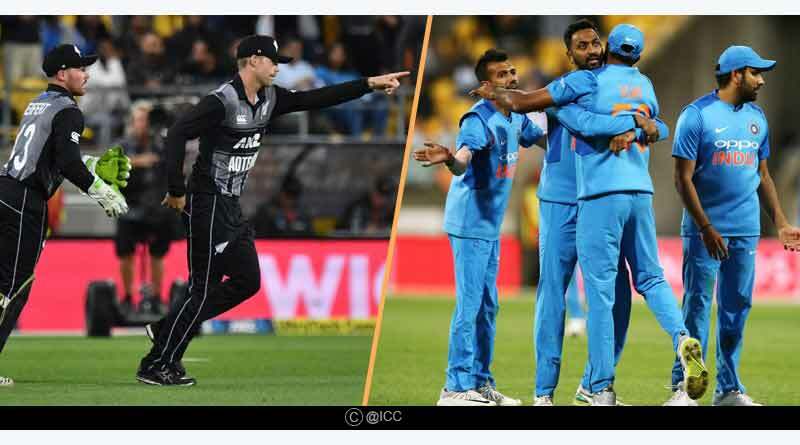 It was an underwhelming performance by the Indians; with them being outclassed and wiped out of the encounter from ball one as New Zealand dominated them throughout the match. 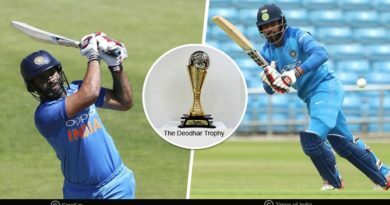 Tarnished with both the bat and ball, a lopsided defeat for India leaves them staring at a 1-0 deficit going into the second encounter and what is more worrying though is the fact that they’ll have to find a way to come back after this embarrassing display. It was a tough game. We were outplayed in all three departments. We didn’t start well and we knew that 200 wasn’t going to be an easy chase. We have chased such targets in the past and that is why we played with eight batsmen, but we didn’t have small partnerships and that made it tough. New Zealand though played well, they had partnerships. We need to go to Auckland, look at the conditions and take it from there, said Rohit Sharma. What left us all disappointed was the manner in which this defeat came about for India. In what was an agonising result, India suffered a massive collapse once again in the middle-order to follow up with what had been an outrageous and cringe-worthy bowling effort by the new faces earmarked to take the responsibility today. An unprecedented 80 runs defeat, especially after India being so clinical in the ODI series was unheralded and we analyse India’s crumbling defeat and take a look at the reasons India lost the first T20 of the three-match series at the Westpac Stadium in such an inclement fashion. Even before the first delivery of the match was played, the Indian side looked one that was up for the taking. 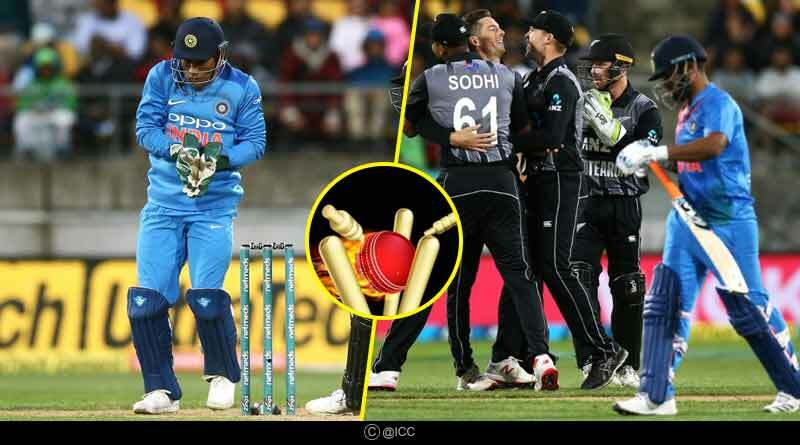 It was an outfit devoid of its star performers and while the fringe players were given an opportunity to prove their mettle as India looked to get that elusive win in a T20 match on New Zealand soil, the combination was unsettled with large gaping holes in the side. The biggest indecision came with the Indian team management deciding to give Khaleel Ahmed a go in place of Mohammed Shami, India’s biggest threat in the pace department. The player of the series from the ODI series was rested and with Bumrah already missing from this series, that left a huge void, one that Khaleel is all too incompetent of filling in. It’s not the first time that Khaleel has shown is inadequacies when it comes to bowling for India and why he was given another chance is well beyond. Having flourished with spin, India in a comical decision decided to leave out Kuldeep and go in with just the solitary spinner. It was a decision that proved extremely costly with New Zealand taking a special liking to the erring Indian pacers. 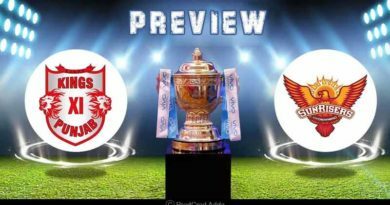 Conjointly, the opponents’ spin department had Indian trapped throughout their innings, showing that it was a pitch on which the slower bowlers were resounding, with batsman finding it extremely tough to get the elevation needed once the pace was taken off the ball. The decisions on the field were flabbergasting as well. Deciding to send in Shankar at number 3 instead of a more traditional batsman to allow him to construct an innings and try to provide the side with a much-needed foundation was needless. While the New Zealand batsmen, especially their top order has to be given massive credit for taking the onus on themselves and churning out some stellar innings, India’s bowling department played its role in allowing them to make merry. The pacers were absolutely pathetic, abysmal in their line and length, failing to learn from their mistakes as they kept bowling in all the areas where the New Zealand batters wanted the ball. There was no guile or trickery on display and the bowling display was extremely tepid. It crumbled as New Zealand assaulted it, not showing any signs of recovering to languish and fizzle out on the day. In Shami’s absence, Bhuvneshwar who failed to get the much-needed support he desired from the other end failed as well, leaking in far too many runs in the death overs to end with surprisingly bad figures of 1-47. With Rohit falling cheaply and early on, India’s ensuing batsmen knew that it was time to shoulder the brunt of the responsibility on the chase on their shoulders and guide the side to a successful chase. However, the manner in which they went about the task at hand was extremely questionable. An approach that just hit everything out to the fence failed to pay dividends, seeing the middle-order once again let the side down. The Indian batsmen failed to augur that this was a wicket that was as good for stroke play as it gets and once set into the middle you were more than likely of acquiring a bagful of runs under your kitty. No one decided to wage a battle for the side, showing zero determination, grit, hunger and the fighting spirit needed in an innocuous display. Dhoni’s and the lower middle-order’s approach at the end was just to amass runs under their belt, achieving personal milestones rather than taking the fight to New Zealand. 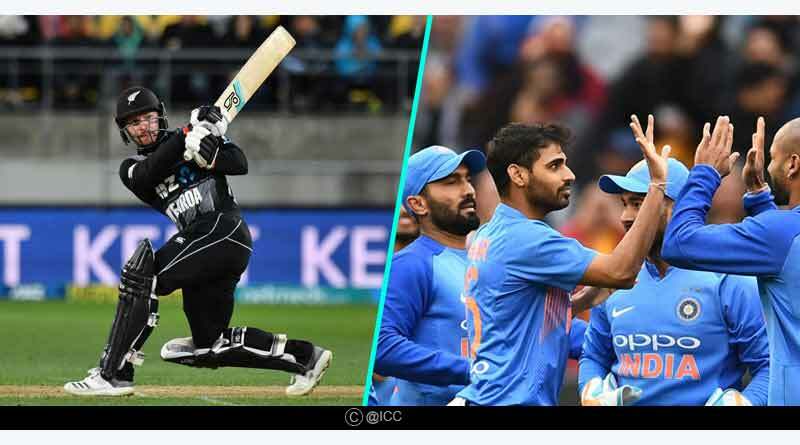 While they reached decent scores for themselves, they were of no consequence, resulting in absolutely no positives for the side with New Zealand more than happy to see them get the odd boundary and see out the overs on their way to inflict a humongous and shameful defeat on India.